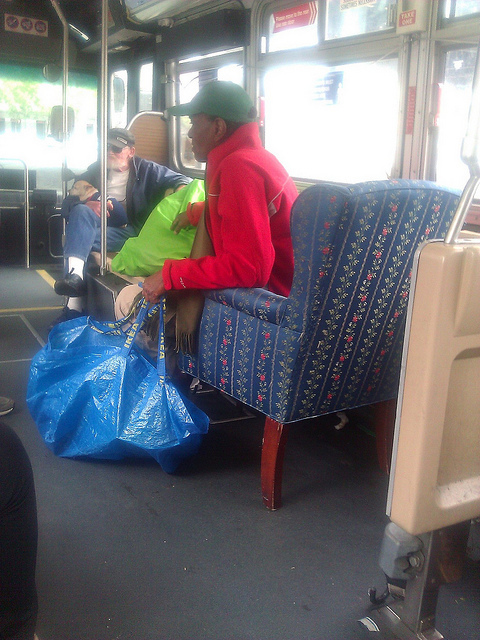 By far the nicest DIY seating we’ve seen on Muni yet. This guy knows how to travel. We’ve got DIY Muni seating coming out of our ears over here! Seen other strange and quirky human behavior on your commute? Share it with your fellow riders! Wow, he’s got nerve and muscles.